Anyone else wondering where the first quarter of the year went?! We’ve been busy bees—so busy that Publishers Weekly just named us the #9 fastest growing indie publisher! Read on for all that we’ve been up to, as well as our list of bestselling books in the month of March. If you’ve been following us for long, you know we love Humble Bundle, a company that sells awesome bundles of digital games, ebooks, and more to support charity. In April, we partnered to launch our Debug Your Life book bundle. Together, we raised $30,000 for First Book, an organization that provides access to education for kids in need! Phew! Now that we’ve had the chance to catch our breath and reflect on this amazing month, read on for our bestsellers in March. The third and newest edition of Leadership and Self-Deception shares that the key to leadership lies not in what we do but in who we are. This insight has proven to have powerful implications not only for organizational leadership but in readers' personal lives as well. 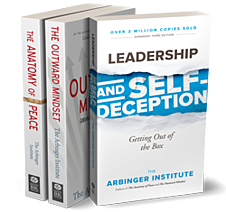 Along with The Outward Mindset and The Anatomy of Peace, which complete the Arbinger Suite, readers are bestowed with moving and captivating stories on navigating conflict, reflecting inwards, and making change. The Arbinger Institute has helped thousands of individuals, teams, and organizations achieve breakthrough results by making the one change that most dramatically improves performance, sparks collaboration, and accelerates innovation. These titles continue to inspire readers across the globe to move outwards and preserve the relationships that matter most. 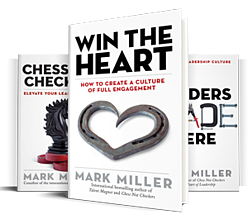 Mark Miller’s newest titles, El Corazón del Liderazgo (the Spanish edition of The Heart of Leadership) and Win the Heart take the joint number two spot in our March bestseller list. Win the Heart is the fourth installment of the High Performance Series, and follows the stories of Blake Brown. His journey reveals that heart is the key to unlocking potential and engagement in leaders and employees alike. El Corazón del Liderazgo, the Spanish edition of Miller's The Heart of Leadership, is a road map for every person who desires to make a difference in the lives of others and become a leader that people want to follow. This book represents BK’s first step into Spanish-language publishing. Kudos to the team for making this a reality! Have you eaten your frog today? There isn’t enough time for everything on our to-do lists—and there never will be. Successful people don’t try to do everything. They learn to focus on the most important tasks and make sure they get those get done. Eat That Frog! shows you how to organize each day so you can zero in on these critical tasks and accomplish them efficiently and effectively. The core of what is vital to effective time management is: decision, discipline, and determination. 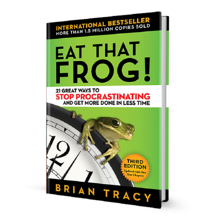 This life-changing book will ensure that you get more of your important tasks done today! Feeling a bit overwhelmed? Laura van Dernoot Lipsky’s The Age of Overwhelm offers a “less is more” framework to help ease the burden of overwhelm, restore our perspective, and give us the strength to navigate what is yet to come. This book provides practical applications that enable us to do less of what erodes us and more of what sustains us, so that we can continue to show up and do good. 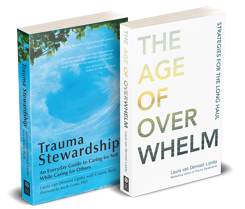 Lipsky’s other bestselling and beloved book, Trauma Stewardship also tops the list this month. Trauma Stewardship takes a deep and sympathetic look at the many ways the stress of dealing with trauma manifests itself and calls us to meet these challenges in an intentional way—to keep from becoming overwhelmed by developing a quality of mindful presence. Joining the wisdom of ancient cultural traditions with modern psychological research, Lipsky offers a variety of simple and profound practices that will allow us to remake ourselves—and ultimately the world. 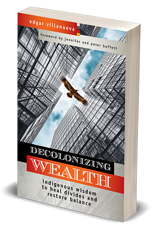 Appearing again on this month’s bestseller list, Decolonizing Wealth continues to soar! Edgar Villanueva details how the philanthropic industry has evolved to mirror colonial structures and reproduces hierarchy, ultimately doing more harm than good. After 14 years in philanthropy, Villanueva has seen past the field's glamorous, altruistic facade, and into its shadows: the old boy networks, the savior complexes, and the internalized oppression among the "house slaves," and those select few people of color who gain access. All these funders reflect and perpetuate the same underlying dynamics that divide Us from Them and the haves from have-nots. Villanueva offers radical provocations to funders and outlines his Seven Steps for Healing to heal these systemic imbalances. If great people make great organizations, how can leaders best help their people achieve that greatness? Ken Jennings and John Stahl-Wert say it’s by serving them. This sounds paradoxical, but this approach leads to extraordinary outcomes. While this book uses a compelling fictional story to outline the basics of Serving Leadership, all the characters in it are based on real people, the organizations depicted are based on real organizations, and the results they achieved are what really happened. 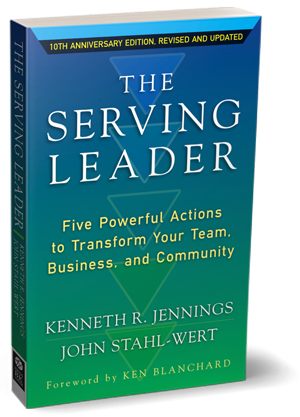 This is a practical guide to implementing Serving Leadership, but on a deeper level, it is a book about the personal journey of growth that real leadership requires. Great organizations are great because they’re filled with people who freely choose to do their very best, and Jennings and Stahl-Wert show leaders how to earn that kind of commitment. 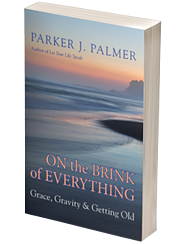 Parker J. Palmer's tenth wise book, On the Brink of Everything, is a wondrously rich mix of reality and possibility, comfort and story, helpful counsel and poetry, in the voice of a friend. It's an honest wake-up chime, no matter where you are in your own timeline, because somehow, these pages hold all of time—past and present, stirring together, refreshing the spirit. This is a book of immense gratitude, consolation, and praise. On the Brink of Everything is a book for readers in any stage of their life. With compassion and chutzpah, gravitas and levity, Palmer writes about cultivating a vital inner and outer life, finding meaning in suffering and joy, and forming friendships across the generations that bring new life to young and old alike. Why would a girl from Denver, Colorado join ISIS, a radical movement known for its mistreatment of women? Farhana Qazi, the first Muslim woman to work for the US government’s Counterterrorism Center, found herself fascinated, even obsessed, by the phenomenon of female extremists. 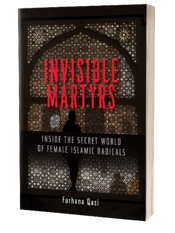 In this book, she offers an insider’s view of what drives girls and women to join radical Islamic movements and how we can keep them from making this choice. From Kashmir to Iraq to Afghanistan to Colorado to London, Qazi discovered women of different backgrounds who all had their own reason for joining these movements. Qazi’s perspective as a Muslim woman working in counter-terrorism provides uniquely compassionate insight into a complex global issue. Making its debut on our bestseller list, Citizen Capitalism is the late Lynn Stout’s final book. Written with co-authors Tamara Belinfanti and Sergio Gramitto, Citizen Capitalism details an innovative proposal to deploy the existing structures of capitalism to deliver increased influence and income to all citizens. 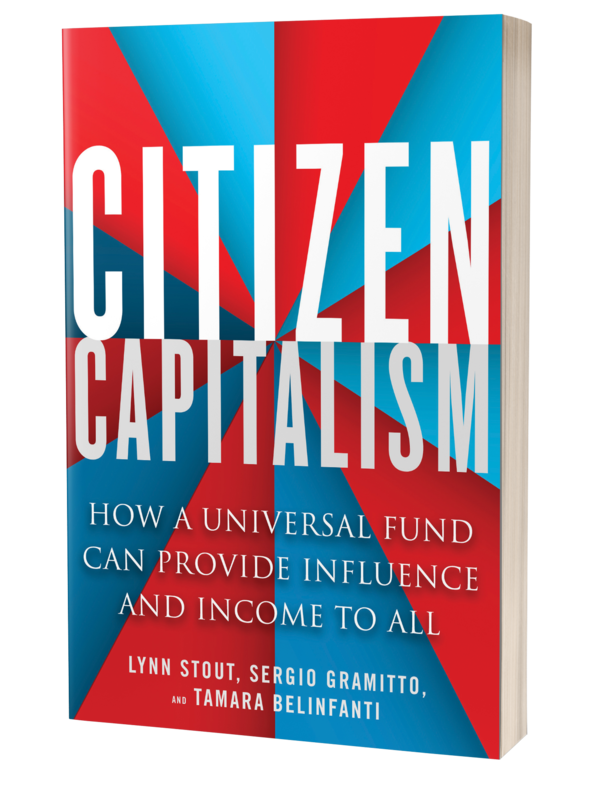 The authors detail a visionary plan to give citizens influence over corporations, and earn some supplemental income too. It envisions the creation of a national mega-fund fueled by donations rather than taxes or government mandates. Every citizen over 18 would be entitled to a share in the fund, enabling them to both weigh in on corporate decisions and receive a dividend. This is a big idea, but also highly practical, holding corporations accountable and using the tools of capitalism for the public good. Questions are at the core of how we listen, behave, think, and relate—as individuals and organizations. Virtually everything we think and do is generated by questions. Questions push us into new territories. The future begins with our thinking, represented by the questions we ask ourselves. Change Your Questions, Change Your Life is a personal growth fable that shows readers how to consistently choose the questions that can lead them to success. This technique, called "Questions Thinking," stimulates innovation, accelerates productivity, and creates more rewarding relationships.